As U.S. pharmaceutical companies have strengthened distribution controls on their medicines to prevent their use in executions, states have been changing their execution protocols in search of new or more readily available drugs. That search has led Nebraska and Nevada to build their execution protocols around fentanyl—the drug known for its role in the current opioid crisis in America—and the paralytic cisatracurium, which have never been used in executions before. According to a report in the Washington Post, Nevada's former chief medical officer, Dr. John DiMuro, quickly chose a never-before-used combination of drugs for the state's execution protocol based upon “the few drugs available to the prison system.” In an e-mail to the Post, the Nevada corrections department said the drug was easy to obtain. “We simply ordered it through our pharmaceutical distributor, just like every other medication we purchase, and it was delivered,” wrote corrections spokeperson Brooke Keast. “Nothing out of the ordinary at all.” In April, drug distributor McKesson Medical-Surgical sued Arkansas after learning that the state was using one of the medicines it obtained from the distributor as an execution drug, alleging the state had deliberately misled McKesson to believe that the purchase was for legitimate medical purposes. That lawsuit is still pending in the Arkansas courts. Dr. DiMuro said he created the untried execution protocol “based it on procedures common in open-heart surgery.” However, the protocol has spawned a new round of criticism from doctors and lethal-injection experts. Mark Heath, a professor of anesthesiology at Columbia University, told the Post that if the fentanyl or the sedative Valium—which Nevada would also administer before the paralytic—“don’t work as planned, or if they are administered incorrectly,” then the prisoner would be awake and conscious during the execution. “It would be an agonizing way to die, but the people witnessing wouldn’t know anything had gone wrong because you wouldn’t be able to move” because of the paralytic drug, he said. Emory University Professor of Anesthesiology Joel Zivot said the protocol is the latest in a series of attempts by states to “obtain certain drugs, try them out on prisoners, and see if and how they die.” The states, he said, have “no medical or scientific basis” for selecting the execution drugs. 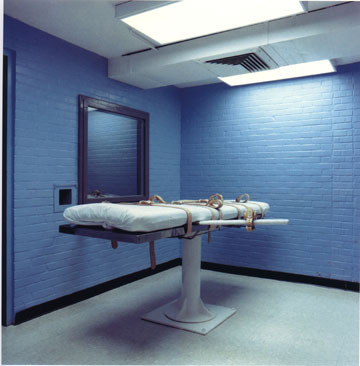 Fordham University law professor Deborah Denno, a leading scholar on methods of execution, criticized the states for continuing to adopt experimental drug protocols. The reason for the change in protocols, she said, is “not really for the prisoner. It’s for the people who have to watch it happen. We don’t want to feel squeamish or uncomfortable. We don’t want executions to look like what they really are: killing someone.” On November 27, a Nevada state trial court issued an inunction barring the state from using a paralytic in conjunction with fentanyl in the execution of Scott Dozier. The state has appealed the order. (W. Wan & M. Berman, "States to try new ways of executing prisoners. Their latest idea? Opioids.," The Washington Post, December 9, 2017; W. Wan, "Execution drugs are scarce. Here's how one doctor decided to go with opioids.," The Washington Post, December 11, 2017.) See Lethal Injection.